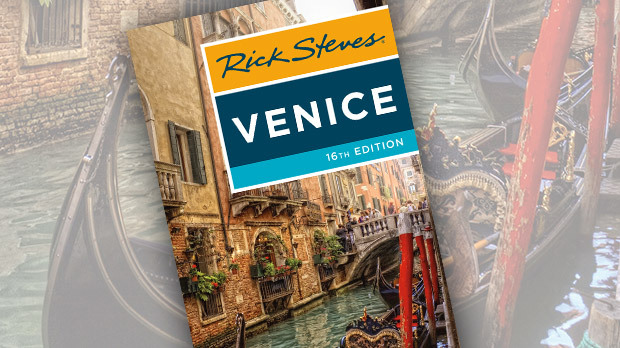 When you know where to look, there's so much to see in Venice. Stepping ashore after a boat ride from the airport, I noticed everything seemed particularly vivid in this beautifully decrepit cityscape: Pilings rotten at the water line…a funeral boat with an iron casket-rack lashed to the center of the hull…chandeliers lighting a mansion's ceiling frescoes, which couldn't be seen during sunlit hours…white marble inlay that made the edge of some stairs pop. On this visit, I spent my first two days avoiding St. Mark's Square. It's the back lanes where this enchanting city is most intriguing. An inverted corner of a beautiful church had an ugly iron fence cutting across it. Why? So men won't use it as an outdoor urinal. In Gothic times, the architect couldn't have imagined someone would relieve himself against the corner of a church. But this is a different age. Later I was walking on an unusually wide street. "What's this doing in Venice?" I thought. "Oh…it's a filled-in canal." Eventually, however, I find myself at Piazza San Marco, magnetically drawn to the church that dominates the square. 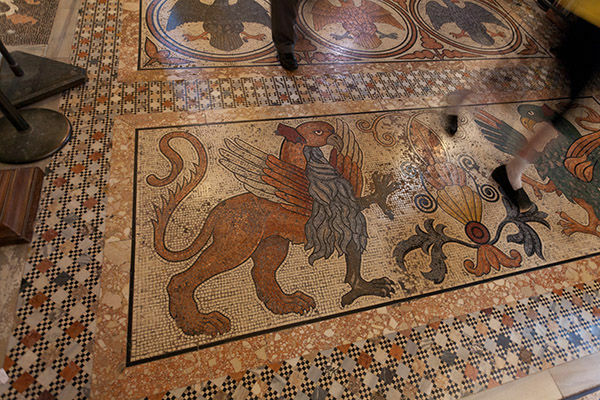 St. Mark's Basilica feels like a remnant of a lost world…and that's by design. It was built in the late 11th century, but modeled after a church in Constantinople that's 500 years older — lending Venice a veneer of historical roots that stretch far back into the mists of time. The relics the church was built to house give the city even more importance. By stealing the bones of St. Mark from Alexandria and housing them in this ancient-looking church, Venice made itself seem very legitimate and powerful indeed. It also put the city on the lucrative pilgrimage route — Venice's dependence on tourism is nothing new. The marble mosaics on the church's floor were "inherited" (Venetians have a tough time saying "looted") from Constantinople. The walls, too, are covered in mosaics — the upper nave alone has nearly 5,000 square yards of it (imagine paving a football field with contact lenses). While most visitors entering the church find it dark and unimpressive at first, the majestic scope of the space sinks in as your pupils slowly unclench. To enjoy the basilica in all its medieval glory, brave the crowds and visit around noon, when the interior is lit up, bringing the gold-leaf domes and mosaics to glowing life. Of course, there are times when the magic suddenly stops, even in Venice. To update my guidebooks, I headed out to the edge of the city to check out the parking situation, and the traffic there appalled me. As I dodged the crazy Italian drivers, the contrast was clear: What a charming world the Venetians enjoy — no traffic noise and as pedestrians they completely own their byways. 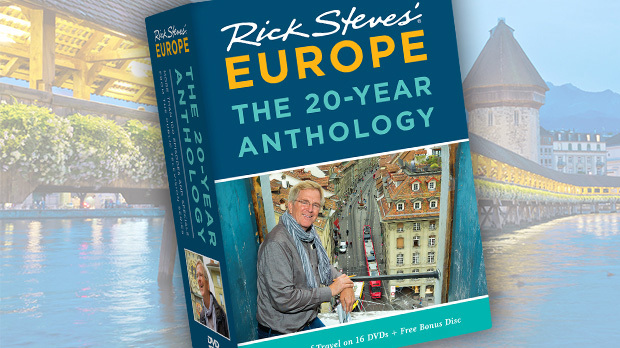 Back in the calm realm of canals and bridges, I tried out one of my Venice audio tours: I hopped on a vaporetto (one of Venice's unique floating public buses), got out my phone, plugged in my earbuds, and let some guy named Rick Steves guide me down the Grand Canal. It reminded me of how I used to commandeer the front seats of the same slow boat when I was a young tour guide back in the 1970s, barking out a cruder version of that same narration to my groups. Another boat ride took me to the nearby island of Burano, which is famous for humble fishermen's houses and squinting lace-makers. I noticed how the pastel colors of the homes are getting more and more vibrant. The place is just darling (an adjective I've never used to describe a town before). 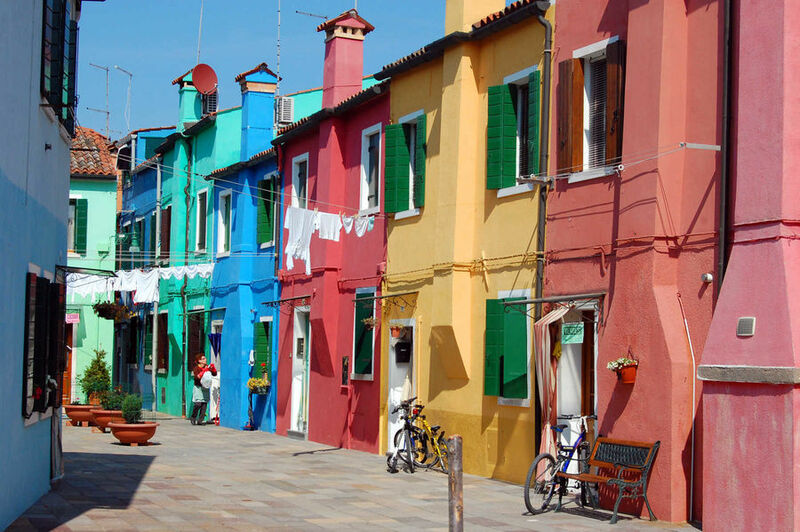 But the rising sea has forced Burano to raise its canal-side pavement. I could see a strip of fresh bricks above the water line. Some houses had a new step added from the sidewalk down to their doors, while others just had a shorter door. Riding the vaporetti is a way of life here. Locals even take public transit to the hospital to have their babies. Most people here do have a car — but as one local once admitted to me, among mainlanders, Venetians "are not very much beloved on the road." Done with my boat ride, I retreated to my hotel room. The speckled "Venetian pavement" — the city's characteristic floor made of a broken hodgepodge of marble fragments and then polished — greeted my bare feet. While some might mistake it for cheap linoleum, it's far from that — it's treasured here, and quite expensive. Thanks in part to the loving natural-oil rub-down these floors get every year, they flex with the settling of the buildings…so costly to maintain, but so characteristic. This was a sign that I was back in one of my favorite cities. My feet connected with the floor in a way my feet have never before connected with flooring…happily grounding me in Venice.